Julian Schnabel says Miral is a balanced portrait of the Israel-Palestine conflict. It’s anything but. Director Julian Schnabel has been making the media rounds in recent days, explaining how he’s tried to show an even-handed picture of the Israeli-Palestinian struggle in this story of a young Arab woman growing up in Israel in the 1980s. But the film comes across as a study of the plight of the Palestinians and the ruthlessness of Israel. It’s about as fair and balanced as a Fox News report on Barack Obama. After a hokey preface at a Middle East Christmas party in 1947, where the host (played by Palestinian sympathizer Vanessa Redgrave) calls the gathering an oasis for everyone, a place where no politics will be discussed, the film jumps to black and white stock footage of the birth of the state of Israel. That’s followed by a sequence of the moderate Arab Hind Husseini (Hiam Abbass) walking through the streets of Jerusalem just after an Israeli bombing and finding a group of homeless girls. From that point on, in telling stories of how Hind created a school for hundreds, maybe thousands of girls, and how one of its students became an activist, Schnabel (The Diving Bell and the Butterfly) never holds back in hitting us over the head with the suffering of Palestinians. The 1967 Six-Day War is presented only as an Israeli onslaught. Schnabel never bothers to explain the origins of it. 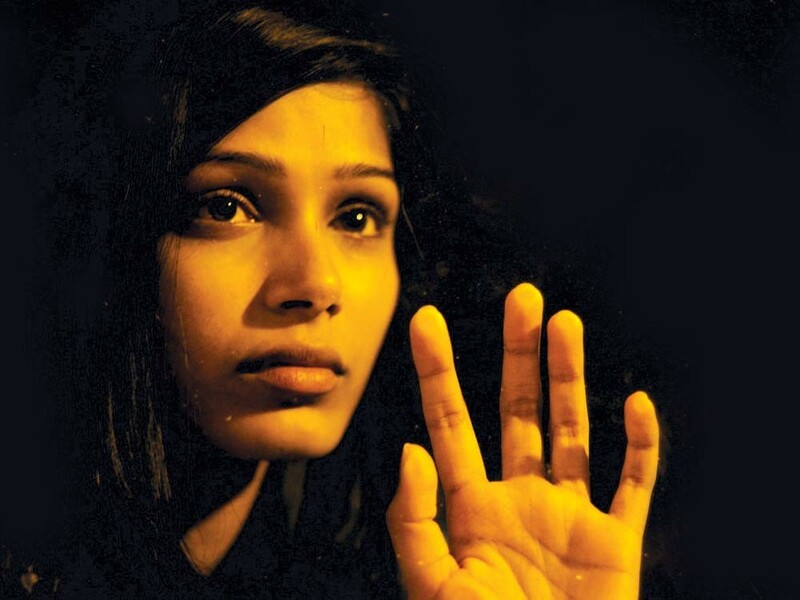 Eventually we’re introduced to Miral (Freida Pinto), the daughter of one of those women. All we know of her upbringing is that she’s close to her pacifist dad, Jamal (Alexander Siddig), and that her mom, Nadia (Yasmine Elmasri), is, let’s just say, disturbed. With this set-up, the disjointed film follows Miral’s ever-growing involvement with politics — with charismatic leaders who lure her to take part in ideas and actions she doesn’t understand. We see, as she sees, the Israeli army tearing down Arab homes that they consider threats to national security. We watch as Israeli police come to Miral’s father’s home at night and take her away, because she’s been seen with a known agitator. Is the film anti-Semitic? No. Is it anti-Israel? Most definitely. But even beyond the misguided politics, Schnabel has gone overboard in unnecessary artiness, making Miral physically hard to watch. The end credits reveal that the film is dedicated to members on both sides of the struggle and insists that the solution is a two-state system. But it’s hard to believe : before softening up in the final couple of reels, this is nothing more than a study in one-sided, heavily pro- Palestinian political rhetoric.